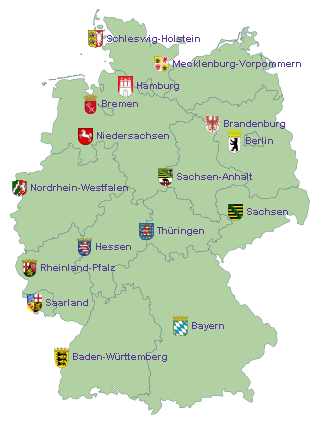 Germany consists of 16 States (Bundesl�nder), 3 of them are City States. All are located in the same timezone UTC+1. The 301 Districts or Counties in Germany you find here. Generating this page took 0.0074 Seconds.